Arattupuzha Temple is a famous Sree Sastha temple located in Arattupuzha village in Thrissur District of Kerala about 10 km from Irinjalakuda town. The history of this temple dates back to 3000 years back and is host of the most ancient festivals and second oldest festival of the world called as Devamala. 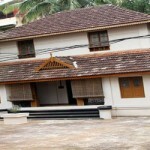 The Cochin Devaswom Board owns the temple and at the advice of the Board Arattupuzha Kshethra Upadeshaka Samithi. This is one of few temples in India that have no main Dieties as found in other temples. The diety sits in a serene posture, with an “Amrutha Kalasa” in his right hand resting on the right knee.It is believed that the diety of Arattupuzha temple is the embodiment of the divine potential of Guru Vasishta, the great master of Lord Sree Rama. Arattupuzha Temple is located in Arattupuzha town is located about 15 km from Thrissur Town. 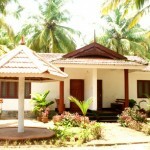 Thrissur is famous for its temples and cultural activities. 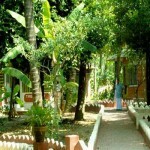 Thrissur is famous and cultural capital of Kerala and has very good road and rail connection to other cities of Kerala and other state. By Air– Cochin International Airport is located about 40 Km form here. Cochin Airport is one of the major Airports in India and Kerala State and is attended by many airlines at regular interval. 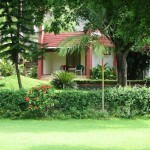 By Road– Irinjalakuda is well connected to other cities of Thrissur and Kerala . By Train– Pudukad Railway Station railway Station is located about 5 km from here. While Wadakanchery Railway Station one of the station in Shoranur Railway Junction line is located about 31 Km from Here. Shoranur Junction is the major railhead near Thrissur District.